Green Party leaders said Tuesday that the closing of 31 driver’s license offices in Alabama proves the need for full restoration of the Voting Rights Act of 1965 as well as other election reforms. The Green Party said Alabama’s combination of voter I.D. laws and obstruction of black voter registration are just the most recent and conspicuous assault on fair and democratic elections. Albany – The New York State Green Party said today that the Commissioners of the New York State Board of Elections should move immediately to close the infamous “LLC Loophole” that allows limited liability corporations to skirt corporate campaign finance laws and donate $150,000 a year to candidates. 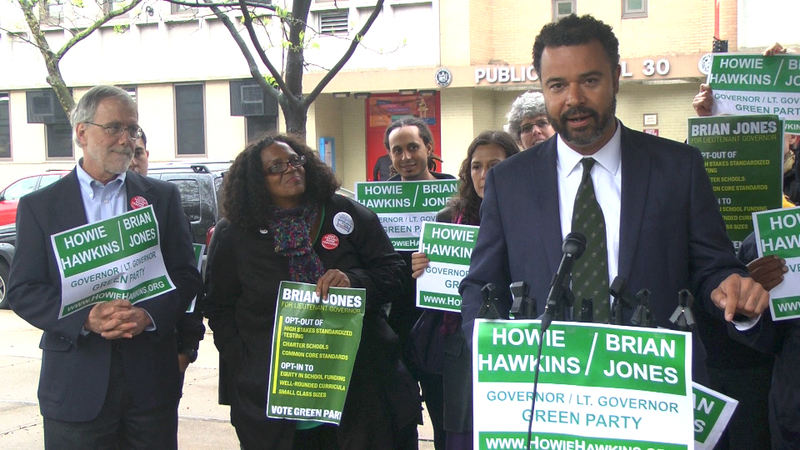 The Green Party pointed out that the Board of Elections can choose to reclassify LLCs as corporations for campaign finance purposes without approval from the Legislature or Governor Cuomo, putting a $5000 cap on donations. Green Party representatives said that while this would be an important reform, only full public campaign financing at all levels will eliminate New York State’s pay-to-play politics. The Atlantic has published an article that raises the question of whether using proportional representation to elect legislators (part of the Green Party platform) could end the gerrymandering wars in the US. While the article barely touches on the many flaws of the first-past-the-post system identified by political scientists, it is encouraging to see increased interest in proportional representation, especially considering that a recent Gallup poll found that 58% of Americans want a new major party. January 7, 2015, Salt Lake City, UT — The 2012 presidential and vice-presidential nominees of both the Libertarian and Green parties are joining forces to challenge the Commission on Presidential Debates and its use of selection criteria that limit participation in general election presidential debates to the Republican and Democratic nominees.